For me, it was a revelation!! 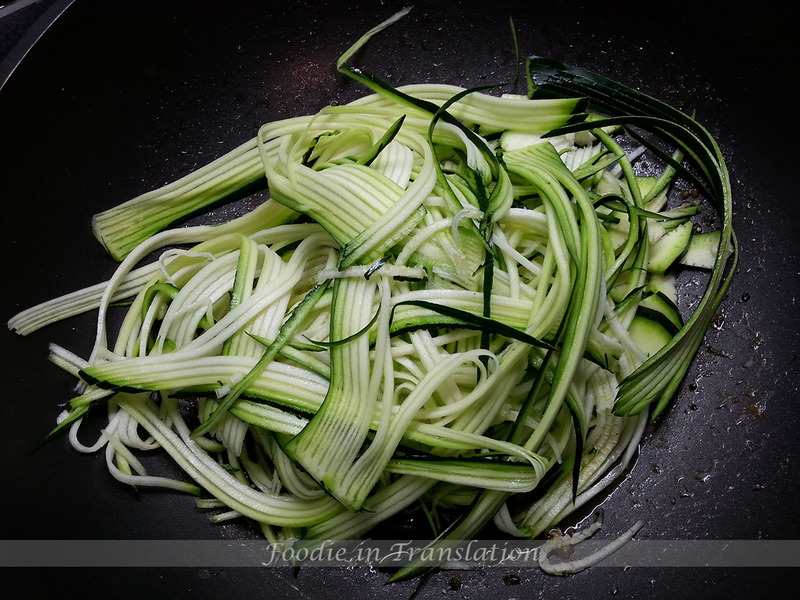 I love raw zucchini noodles (you can also call them zoodles): they are so crunchy and tasty. You can propose them as a side dish as well as a main dish. But, being Italian and loving pasta, I would never thought about serving them in place of a pasta dish!!! 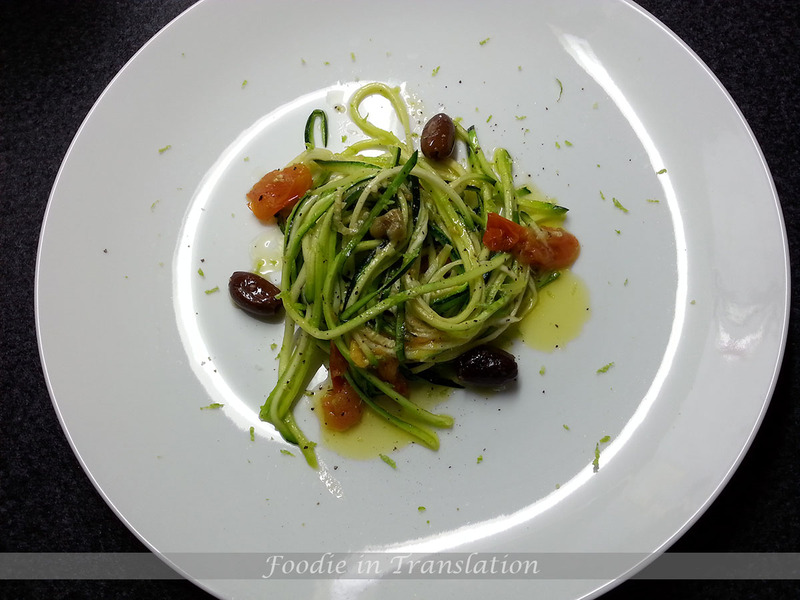 In Italy, we call this recipe zucchini spaghetti and I can assure you they are delicious. I tasted them in a restaurant with some friends and we really had a good time. It was one of those rare nights I can spend with two of my best Italian friends. Living abroad, for me it is not so simple to meet them. Well, that night we enjoyed our time together, we had lots of laughs and the food was fantastic. 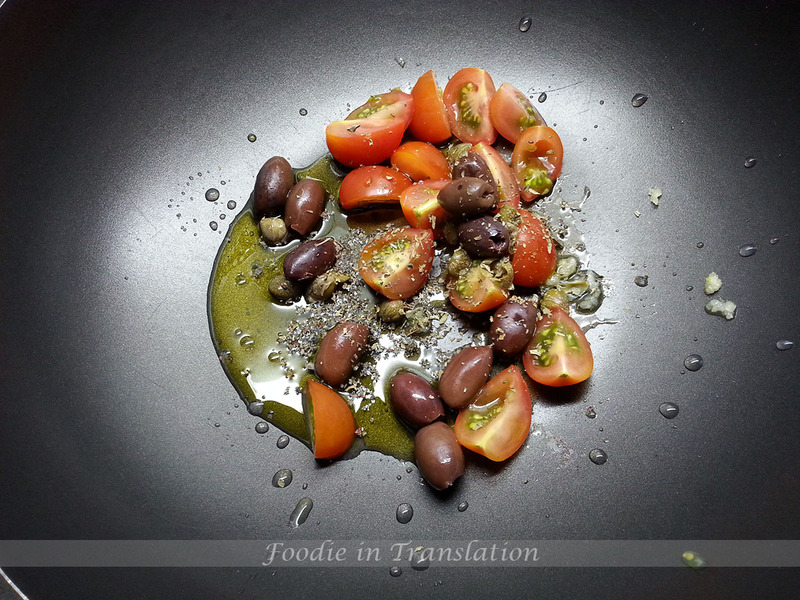 Cut the cherry tomatoes in 4 pieces and put them in a pan with olive oil, capers, Kalamata olives, oregano and the garlic (peeled and crushed). Meanwhile prepare the zucchini noodles. Add the zoodles into the pan, season with salt and let them cook for 5 minutes. 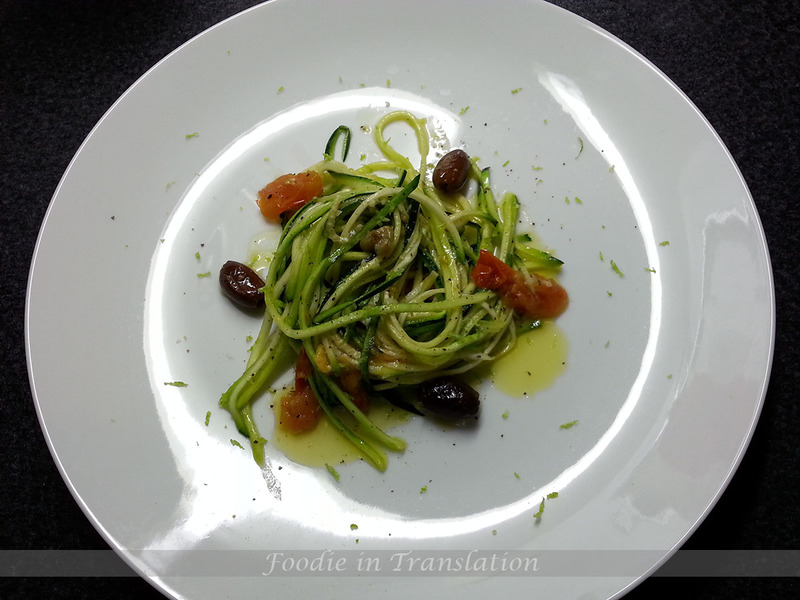 Plate them, sprinkle with pepper and lemon zeste and serve the zucchini noodles with cherry tomatoes and olives.